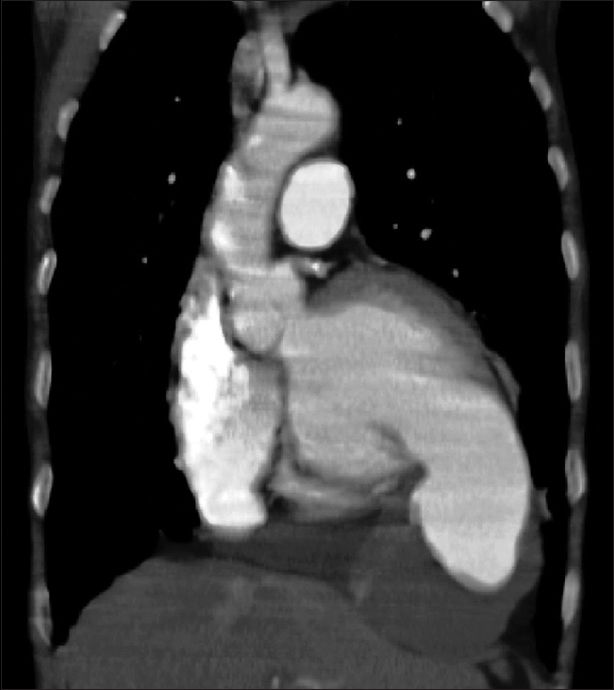 A40-year-old male smoker without any other discernible risk factors for coronary artery disease presented with complaints of progressively increasing shortness of breath and swelling of bilateral feet for the past 3 months. 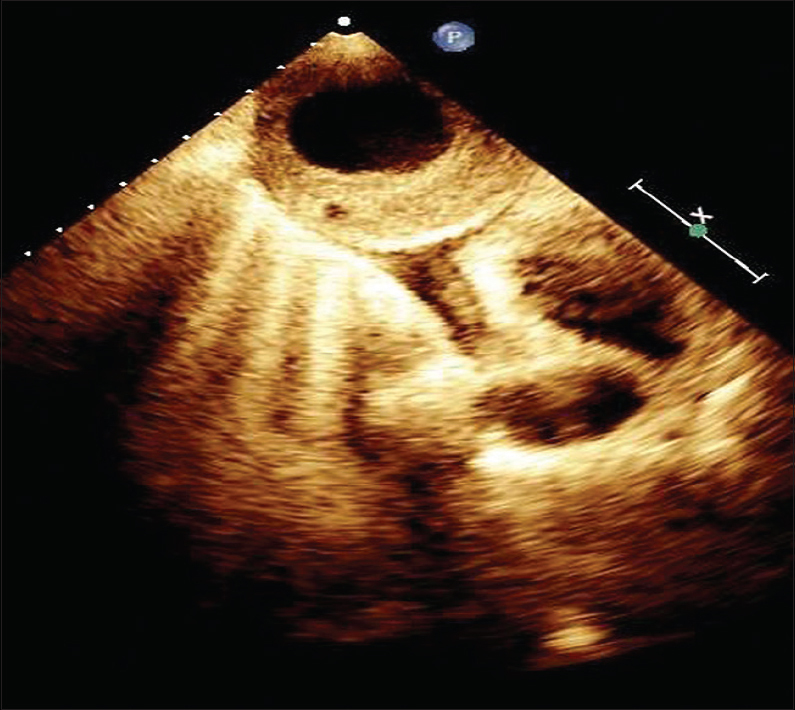 He did not have any history suggestive of acute coronary syndrome. 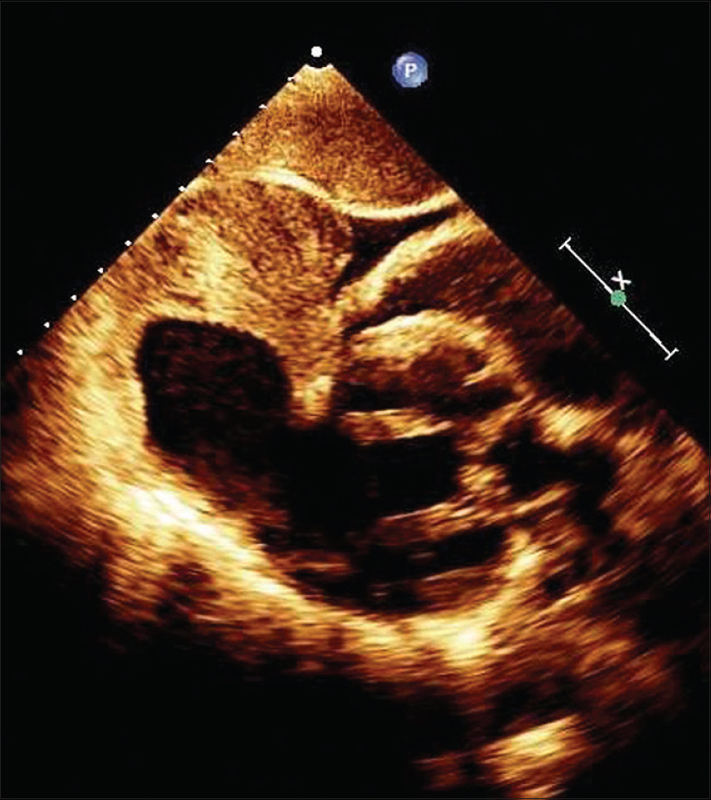 Two-dimensional echocardiography revealed a large thick-walled cavity with a narrow base attached to the left ventricular apex suggestive of a pseudoaneurysm (PSA) [Figure 1] and [Figure 2]. 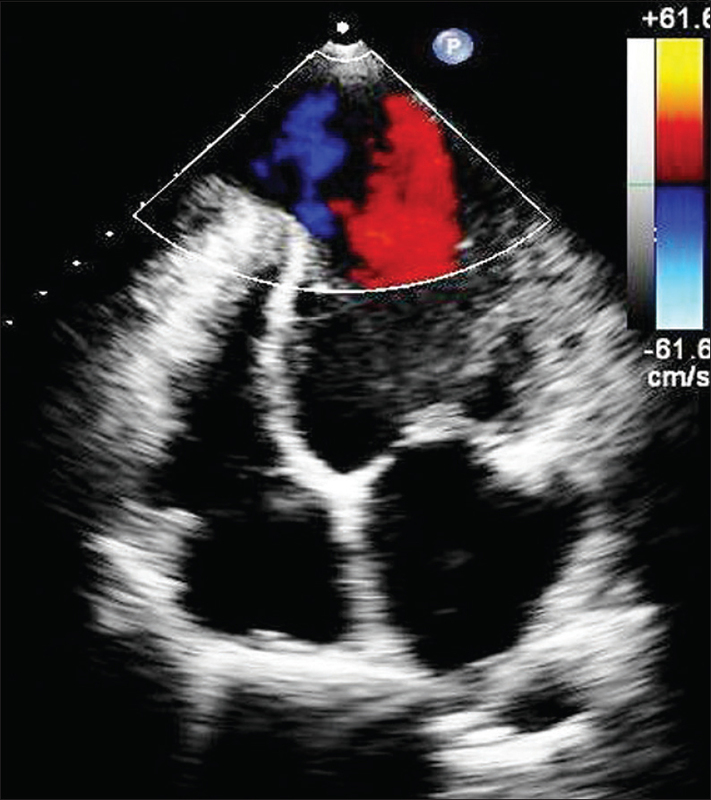 The PSA cavity was layered with thrombus [Figure 3] and [Figure 4] [Figure 1] showed to-and-fro blood flow into it.